Skating,her teammates, and hitting people. 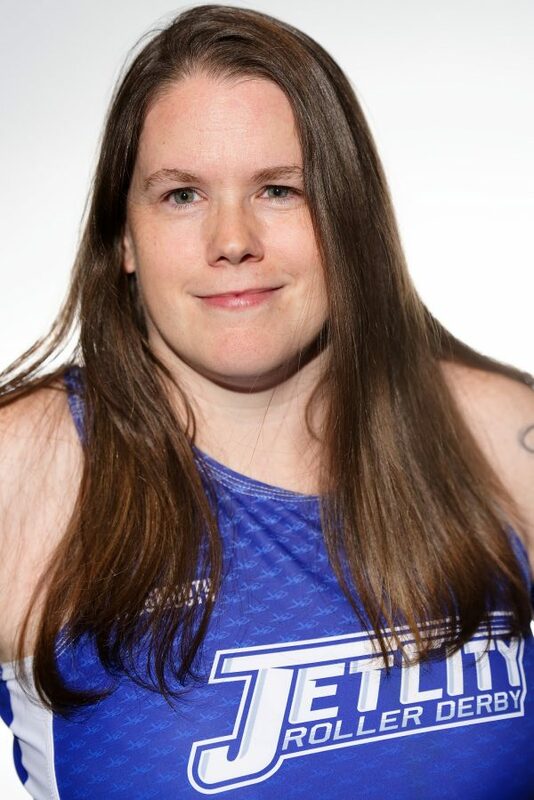 Former couch potato, Phearless Diller saw Roller derby while living in Las Vegas. She was invited to play by a couple of girls in a side scrimmage but declined as she had not skated in years. It did ignite a fire and started a search for a local team upon moving back to the pacific northwest. Stumbling upon Jet Citys new skater website, she decided to sign up. As she huffed and puffed her way around the track that first time she knew she had found her calling. In 2009,a dream came true, she became a Harem! Occupation:Dog Groomer at Petsmart Inspirations: Watching new skaters discover themselves and their abilities. She learns something new from each one.